Snapple’s newest product is called Straight Up Tea™. It makes sense because there are no fruity flavors, no mixes or twists; this is fresh brewed tea sweetened to three levels with real sugar. No nonsense, straight up. You can choose from three levels of sweetness; Unsweetened which has 0 calories and no sugar added, Sorta Sweet which has a bit of sugar and 90 calories per serving, or Sweet which has 180 calories per serving and is, like the name implies, sweet! All three levels taste great and really are focused on being a great tasting fresh brewed tea. Cutting out sugar is an easy way to encourage not only myself but also my family, to be healthier so I typically choose the unsweetened variety. There are occasions when I want a little more sweetness and I’ll grab a Sweet Straight Up Tea™ but as a general rule I prefer the unsweetened level! This is one of the things I really love about Snapple® Straight Up Tea™. I get to choose what I’m looking for as far as calories and sugar is concerned. Oftentimes if you want a product that has less, or no sugar, you have to sacrifice flavor, and sometimes the drink you want is not available with that option. Snapple® Straight Up Tea™ allows me to have the great fresh brewed tea taste that I’m after in any level of sweetness I prefer in the moment. 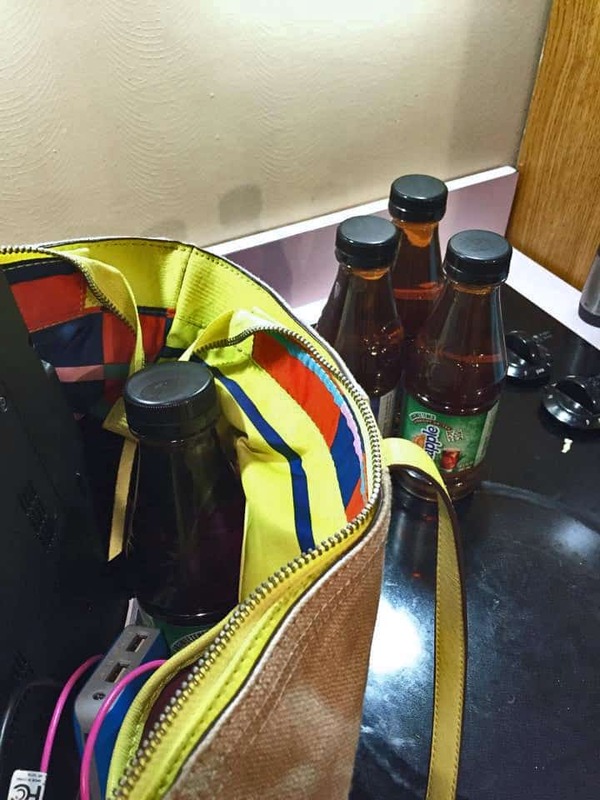 I love to throw an unsweetened Straight Up Tea™ in my work bag in the morning. It’s great on the go and for mornings and afternoons when I’m very busy and don’t have time to stop and brew a cup of tea. It’s refreshing and I don’t have to worry about packing in extra calories while I’m enjoying my bottled tea. 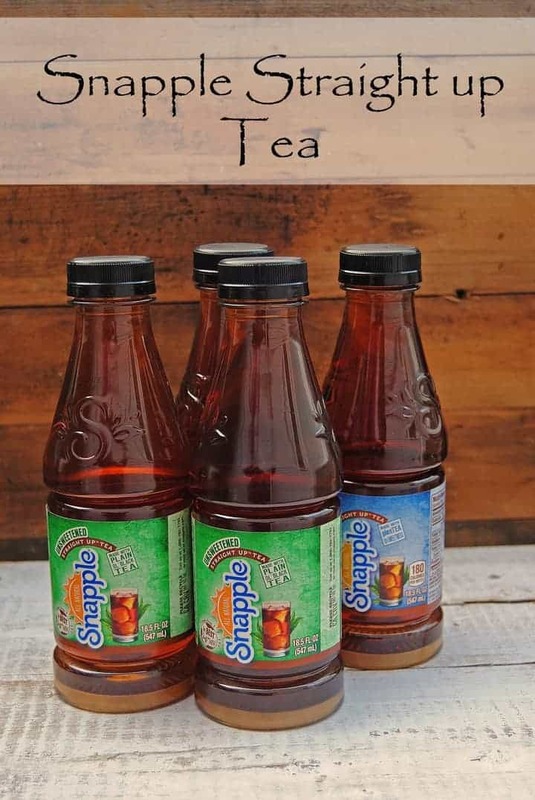 Another great thing about Snapple® Straight Up Tea™ (besides the amazing brewed tea taste, freedom to choose my sweetness level, and the fact that it is made with REAL ingredients only; Black Tea and real sugar) I can pick these up at my local Giant! This week they were on sale 10/$10 which is great because I can grab enough for the whole week in one trip and never have to worry about having an extra minute to stop in and grab one! 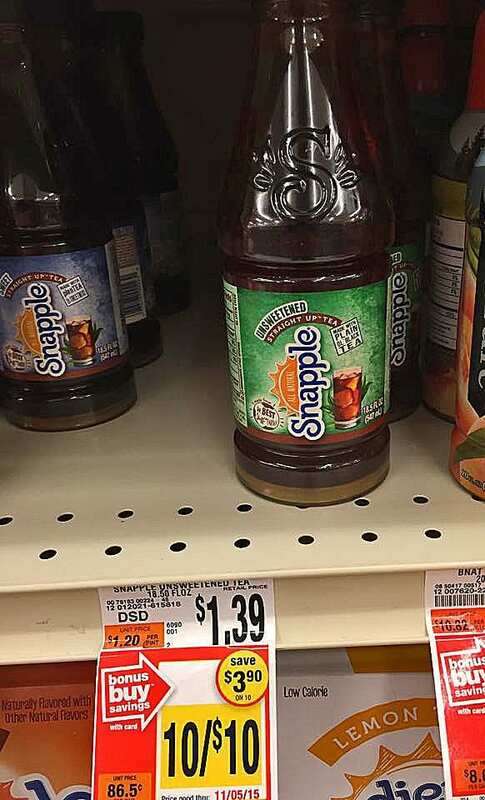 They’re located next to the breadcrumbs in Giant stores and as you can see I’m not the only one who loves Snapple® Straight Up Tea™! My experience buying Snapple® Straight Up Tea™ is always an easy one because my Giant has self-checkout lanes which I love! They’re so easy and convenient especially when I run out of Snapple® Straight Up Tea™ and have to stop in for a few while I’m on the go! 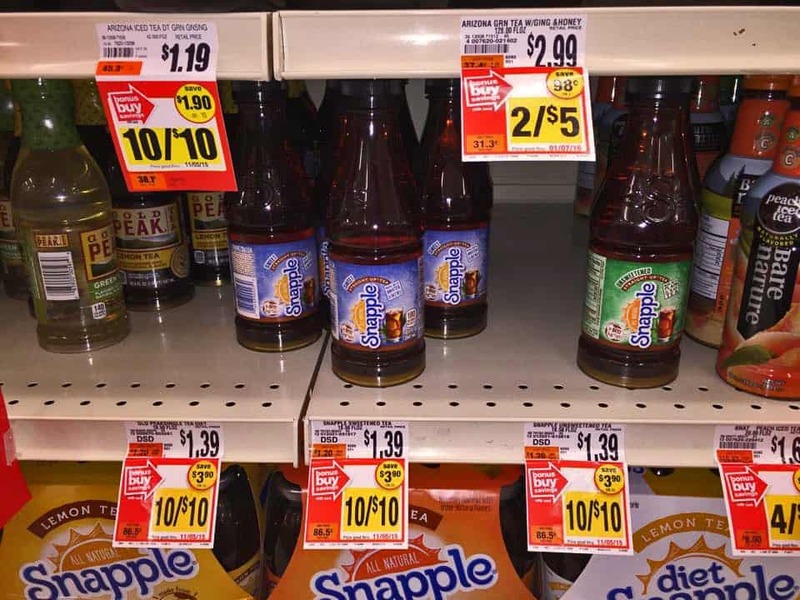 Find Snapple® Straight Up Tea™ at your local Giant! Have you tried the new Snapple® Straight Up Tea™? Which level of sweetness do you go for? Don’t forget that your local Giant has them on sale 10/$10 until November 7th! If you haven’t had a chance to try this great tea now is great time to do so! I haven’t seen these in my supermarket yet. I would definitely try the unsweetened one. My mom is a tea addict. It’s great to find so many options available as per requirements. Thanks to Snaple. New brand to me but I love trying different brands. Will definitely check it out since I’m a tea addict. My husband is a regular tea drinker & this sounds like something he would love to give a try. 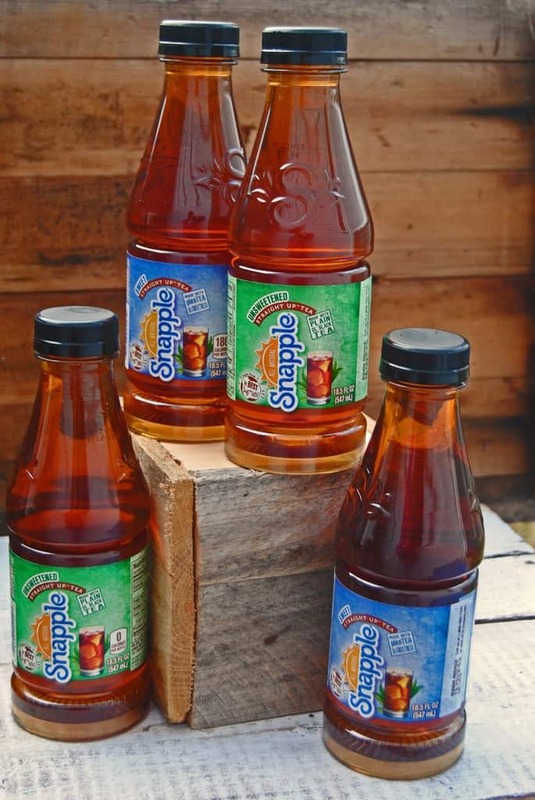 The Snapple straight up tea sounds great being made with real ingredients which will make it stand out in the market. I love this tea! I have loved Snapple for so long but these teas are so delicious just like the other flavors.